Brooklyn, New York’s very own, The Violent Hippy collabs with KO Beverly on debut single, “Free Will.” The song was produced by The Violent Hippy and engineered and mastered by KO Beverly. The listener will find the hook very interesting and catchy. At the age of six, The Violent Hippy experienced the value of a close-knit family in one household. Shortly after, his parents were able to move out to the Poconos, Pennsylvania in search of a much calmer lifestyle. TVH gained a musical interest while attending church and watching his mother often perform during services. At the age of seven while living in Brooklyn, his father unknowingly introduced him to the world of hip-hop As the years went on and having a genuine adoration for sports, TVH had to choose his next path in life. He ultimately had to decide what he desired in spite of what others wanted. After attending a community college for only seven days, TVH dropped out to pursue music full time. 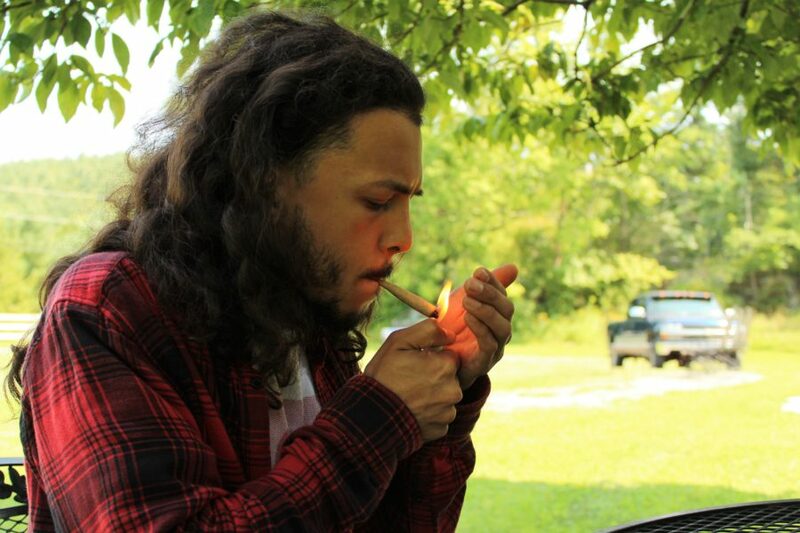 At the age of 18, The Violent Hippy dropped his first mixtape called”The Tweaked Thoughts Project.” As to everyone’s surprise, the compilation racked up thousands of plays & hundreds of downloads and introduced the internet and the Poconos to a sound they were not yet familiar. His music is versatile & consists of an unprecedented merger of metal, trap, rap & soul. Most of his fans played a crucial role in fueling his growth. They seemed to resonate with his profoundly passionate soulful flow & delivery, uncanny thought-provoking lyricism and unpredictable yet progressive self-production. His sound has the potential to shift the sound of hip-hop today. What’s next for The Violent Hippy? Since his first project, The Violent Hippy released 3 Singles from his follow up mixtape. His various production can be heard on the tracks’ -$OULED ME’ and the most recent single ‘Free Will’ featuring KO Beverly. ‘Adding to the roster, Life’s Vices’ which features Supa Bwe & KO Beverly hit the worldwide web earlier this year. With the hopes of building up more anticipation, a follow-up album will arrive before the end of this year. We can’t wait to hear what The Violent Hippy is cooking in the lab. Be sure to follow him on all social media outlets to stay in tune with the next project.